Sometimes life just gets too hectic. You’ve got one thing after the next taking up your valuable time and you find that you’re spreading yourself way too thin trying to accommodate everyone and everything that needs to accomplished by yesterday. Eventually you start to miss a deadline here, forget a task there, and before you know it you have this feeling of being perpetually behind the eight ball. The fact of the matter is that you’ve simply taken on far more than you can handle. While you don’t want to let anyone down and you seem to struggle to get your work on the boss’ desk when it’s due, you just can’t get a step ahead. That’s when the stress starts to build and things can really take a turn for the worst. Your problem may not be all of the responsibilities you’ve decided to take on, but the way in which you manage your time to try and accomplish all of them. Time management doesn’t come easy to most people. It takes some real dedication, trial and error, and hard work to effectively make the most of those 24 hours in each day. Some responsibilities can’t really be avoided, like sleep, which is going to take up about 7-8 hours of that day (though for most of us it’s more like 5-6 hours, to be perfectly honest). What you do with those remaining 16-18 hours is up to you. In order to conduct your day in the most efficient way possible, it’s important to have strong time management skills. This begins with learning how to organize, compartmentalize, and even delegate when necessary. You can’t expect to just one day decide to manage your time with more efficiency and make drastic improvements immediately. Rather, this is something that you need to practice and cultivate for maximum effect. That’s because time management is often different for each of us as what works for one person may not be the right solution for someone else. You need to find your own best method for managing your time with the greatest efficacy. That may require experimenting with a variety of solutions before finding the one that works. We’re here to help you to do just that, as we’ve identified ten useful tips for better time management that you can start to work on right now. Each one can provide you with the necessary tools you need to improve your strategies for regulating how you spend your time and how much of it you devote to the tasks that populate your to-do list every week. Read ahead and see which of these time management tips are best suited to your particular situation. The best way to start your day is to know exactly how it’s going to go before it even begins. You’ll want to sit down and make a game plan of all the things that need to be taken care during the course of the day. When you make that plan, it helps to prioritize which tasks are most important so you’re not scattered trying to do multiple things all at the same time. You don’t want to focus your energy on accomplishing those items that aren’t as necessary or immediate. Taking them off your proverbial plate to deal with at a later date will help reduce your stress and let you concentrate more freely on getting the most important tasks finished first. The best way to help yourself is by using some kind assistance in the form of a calendar, an electronic device, some kind of planner, or even a simple pad of paper where you can write down a list of that day’s important tasks. While you may have a lot to deal with, be sure you don’t overcrowd the list so that it’s entirely unrealistic to polish off by the time your day has come to an end. If part of your day’s tasks involve you being on the phone or attending meetings, you will want to give yourself enough of a buffer between those appointments to account for any overage in time that you may need. You don’t want any unexpected travel time from one appointment to the next or small distraction to throw your entire day’s plan off track. 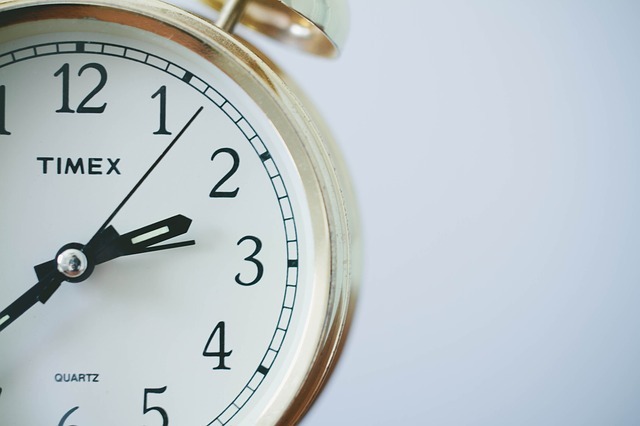 To make it even easier to accomplish everything on your schedule, apply time limits to each of your tasks. This can help you manage your time, specifically the amount of time you devote to each item. This way you won’t waste time spending more of it on a task that may not require as much focus to complete. That allows you to allocate the most time to the things that actually call for it. You know what they say, the early bird catches the worm. Well you may want to start waking up with that early bird if you have a lot of things to accomplish in your day. There may only be 24 hours in that day, but the earlier you start working on crossing off the many things on your list, the quicker you’ll be able to get them done and off your mind. One of the biggest contributors to stress is having those deadlines looming over your head, so make the most of your day by devoting your time to organizing and preparing to tackle the things that need to get done first. The early morning is when you are calm and focused and it’s also when you have the least amount of distractions. The work day hasn’t quite started yet for many people and there are fewer phone calls or emails to check. That quiet time before the typical 9am start can be a valuable part of your morning routine. 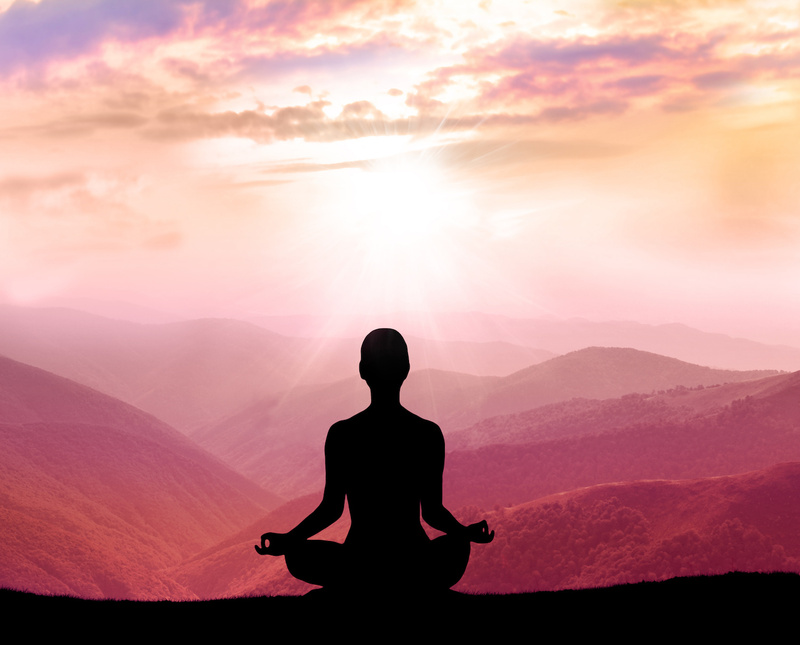 It can give you time to reflect and shift your concentration to the day ahead. Waking up isn’t the only time to be early, either. If you have a phone call or a meeting planned, you should aim to get there few minutes before it starts. That way you can almost always be assured of arriving on time. Aiming to get someplace on time presents a greater risk for being late because you haven’t given yourself a cushion to account for the many possibilities that can arise and delay your arrival. If you leave early, you can minimize those risks and be there when you are expected. One of the quickest ways to ineffectively manage your time is by taking on more than you can handle. Accepting one responsibility after another so that they all continue to pile up as to become overwhelming and impossible to manage doesn’t make you look like a rock star, it’s just irresponsible. 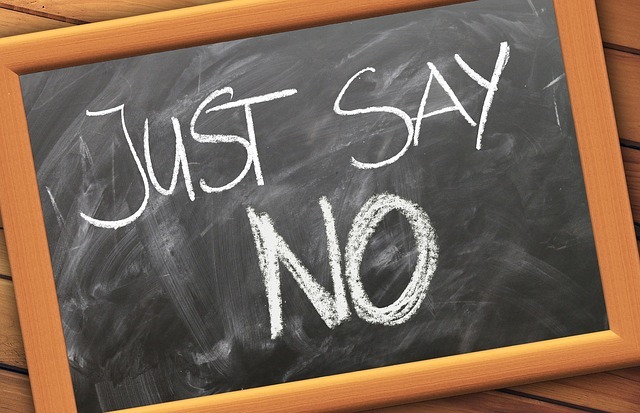 Sometimes you just need to say no to a task or assignment if you won’t be able to give it the proper attention it deserves or if it’s going to cause you additional stress that you just don’t need. Carefully consider your current to-do list before taking on any additional items and be sure you’re not stretching yourself too thin. If you are, then you need to get comfortable telling people “no”. You may feel like you’re letting that person down, but in reality, you’re enabling yourself to get all of your tasks completed carefully and thoroughly. Once you’ve eliminated a sizable portion of your to-do list, then you can follow up with that person and see if they still need your help. If so, then you’ll be better equipped to offer them the assistance they require and you can do it without driving yourself crazy in the process. Be sure you stick to your initial “no”, even in the face of repeated requests and co-workers or boss’ who may try to wear you down by continuing to ask you to take on additional tasks. It’s easy to relent and give in, but it will be much harder on you and your ability to manage your time in the long run. We all do it, every day. We are easily distracted by everything from Facebook and Twitter, to checking our emails and texts over and over again. Why do we do it? Why are we given to procrastination when there is so much hanging over our heads that needs to get done? To be perfectly honest, sometimes the things we need to do just aren’t all that interesting or exciting. It’s tough to get excited over that sales report or those spreadsheets that were due yesterday. How many of us really want to run errands all day, fighting with traffic and gridlock? No matter what it is that’s populating your list of things that need to get done, procrastination is the quickest way to accomplishing none of it. When you waste time on frivolous time-killers you’re setting your entire schedule back by hours, potentially days. Not only will your to-do list get longer, but you’ll also increase your stress levels because everything has to get completed at virtually the same time. You can make all of the game plans and schedules you like, wake up bright and early, and refuse to accept additional work. However, if you procrastinate enough, all of that time and effort and good intentions are going right down the drain. It’s tempting to procrastinate and is far too easy given this digital era in which we live. It’s going to take some willpower and resolve on your part to make sure you don’t screw everything up when it comes to time for the rubber to meet the road in meeting your responsibilities. We all like to think we can multitask with the best of them and there’s no doubt that some of us are better at doing it than others. When you rely on multitasking to get everything done when expected, you can start to put some serious undue pressure on yourself to perform above and beyond your capacities all the time. Instead, it’s good to set some limits on what you can get done and when you can do it. Establishing deadlines is a great way to start. That way you can give yourself the boundaries that you need to devote enough time and attention to each task. Then you complete your work not just in a timely manner but with the requisite amount of care and effort required to finish the job. We’ve talked about declining additional tasks as appropriate and that can also play into your ability to set limits for yourself. It starts with understanding what you’re capable of completing over a 24 hour period or so. When you are able to identify your strengths and weaknesses in regards to time management, then you will start to prevent yourself from applying needless excess pressure to perform beyond your capacities. Putting time constraints on how long you will work on any task can also be beneficial in setting those limits that are so important to effective time management. You can’t really manage your time if you’re not actually, you know, managing it. That’s why you want to keep a clock or timer nearby to make sure you stay on schedule. It’s far too easy to derail your entire day working on one task for much longer than expected. Having some type of timepiece nearby can keep you on track so that you’re not only sticking to the plan for that day but also timing yourself as to how long it’s taking you to complete your tasks. If you set a deadline for yourself to finish something on your to-do list by 2:00pm and you wrap it up with five minutes to spare, you can analyze the amount of time it took you to complete the task and help find where you might be able to pick up the pace for the next time you have that job or something similar to complete. If it took you two hours to finish, just as an example, then consider how you spent those two hours? Were there mistakes made that you can rectify next time and thus complete the task more efficiently? Timing yourself between deadlines can help you explore your strengths and weaknesses in reaching your goals for today. You can then tighten up any areas where you may have wasted some time or, alternatively, might have been better served taking a little bit extra in finishing what needed to get done. So bring that timer or clock to your work area and see how efficient you can really be each day. It may be all too tempting to work yourself silly trying to get everything done on time and under deadline, but you really need to stop once in a while and take a break. Stepping away from it all for five or ten minutes a few times a day will actually help your productivity instead of hinder it. That’s the time for giving into your distractions, check your email, pop on Facebook or Twitter, step outside and breathe in some fresh air, get your mind off your work temporarily. This will allow you to reset and remain focused and keep you from getting burned out, which is one of the biggest obstacles to productivity. When we start to feel burned out, we can’t concentrate and our output suffers on both a quality and quantity level. So while it may feel awkward to step away from all of your tasks, it’s really the best thing you can do to ensure that they you finish everything on your to-do list. The same thing goes for getting lunch, too. Simply move away from your desk or home office and go get food, whether that means leaving to go pick it up or walking to your kitchen and making something to eat. Working through lunch every day is the quickest way to get burned out on what you’re doing. Just put it all aside for a half hour and let your mind wander to other things that aren’t work-related. If you’re really pressed for time (and you shouldn’t be if you’ve scheduled your day properly), then take your first break at lunch but give yourself some extra time to enjoy it so you can set your mind elsewhere. One of the best ways to get your day off-course is by letting phone calls and meetings run on past the time you’ve allocated for them in your schedule. It’s up to you to make sure that you stay on track. Since you’re the only person who has a vested interest in accomplishing everything that has to get done each day, you have to be assertive enough to let others know when it’s time to wrap it up. Meetings and conference calls are only part of your day and they can’t overwhelm the rest of your schedule. If that call or meeting is a high priority, then you likely would have accounted for it being a major part of your day ahead of time. if it’s not supposed to eat up three or four hours of your schedule before you begin then it shouldn’t take up that much time to complete. Assert yourself when something like this spirals out of control. You have other tasks to complete and if you want to manage your time correctly, you will have to let others know that you can’t devote so much of your time to one thing. However, emergencies do happen and if a meeting or phone call is organized in the face of a crisis, then of course you’ll need to put the rest of your day aside to put out whatever fire has emerged. When it’s not an urgent matter that must be dealt with immediately, don’t feel bad about cutting the meeting short or excusing yourself from a call when necessary. You are just one person and while you may feel like you can take everything on all by yourself, the true measure of a good time manager can be found in the ability to know when it’s time to pass a task on to someone else for completion. There’s nothing wrong with delegating tasks to others. In fact, some of the best minds in every industry rely on smart delegation to meet maximum productivity. You’re no different, you can only take on so much in any day and sometimes the best way to making sure every task is completed on time is to enlist some help. It’s not an indication that you can’t handle it, just the opposite in fact, as it shows that you’re smart enough to recognize when others need to get involved and you can identify the best person to tackle that certain job. Don’t view it as a sign of weakness. Rather, delegating is a sign of strength and trust in your fellow colleagues to come through when expected. It’s just a simple fact of life, you’re not always going to get that to-do list cleared by the end of each day. Guess what, that’s okay. Good time management also requires an ability to know when your schedule has been thrown off course and course-correct to get back on track. By re-prioritizing which tasks still remain and devoting the rest of your time to meeting the most pressing of your outstanding deadlines, you’ll be able to put your attention back to the tasks that need it most. There are always one or two things that can probably be pushed off tomorrow, too. While that’s not ideal and you certainly would rather not procrastinate, that’s just the way things turn out sometimes. Don’t dwell on it, just improvise accordingly and press on. These tips should get you started on improving your own time management skills to make you more effective and productive. It’s not just work; you should practice these methods in the areas of your life as well so that you can make the most out of every day. Good time management will make you a stronger employee or boss, but it will also help you manage the rest of your life with the same efficiency so that you are the best you can be at all times.